Available In All Boxerbrand Covering Materials! 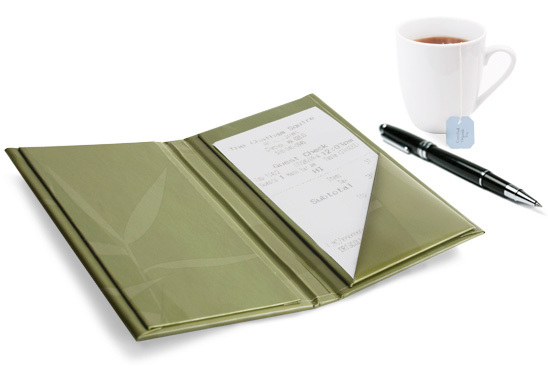 Boxerbrand Check Presenters add a pleasant, final touch to a well enjoyed experience at your restaurant. Fits Check sizes up to 3.75" x 7"